Purpose: The purpose of this policy is to protect the employees and members of the Wilmington Police and Fire Federal Credit Union from an abusive member(s) or other abusive person(s). This policy is not enacted to restrict the rights and freedoms of anyone, but, rather to address certain unacceptable conduct in order to assure the rights and protections of the employees and members of the Wilmington Police and Fire Federal Credit Union. 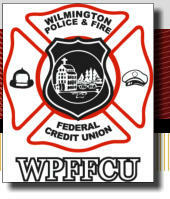 Authority: The Board of Directors of the Wilmington Police and Fire Federal Credit Union recognizes that a Credit Union’s reputation is due in large part to the loyalty, commitment and continued efforts of its employees. The Board of Directors of the Wilmington Police and Fire Federal Credit Union is committed to treating our employees with the respect they deserve and is also committed to maintaining a workplace and business free from any type of abuse. In the event that a member of the Wilmington Police and Fire Federal Credit Union, or other person, engages in any type of abusive conduct toward a Credit Union employee or member, or Credit Union property or premises, at credit union sponsored event or workshops, a committee appointed by the President of the Board of Directors is hereby authorized to impose sanctions against such member or other person. In the absence of one of the committee members, the remaining committee members are authorized to take such action. Actions: In that regard, any combination or all the following sanctions may be imposed against a member or other person who has engaged in abusive conduct: Denial of all services of the Wilmington Police and Fire Federal Credit Union other than the right to maintain a share account and the right to vote at annual and special meetings. Denial of services of the Wilmington Police and Fire Federal Credit Union that involve personal contact with Credit Union employees. Denial of access to the Wilmington Police and Fire Federal Credit Union premises. Taking of other action deemed necessary under the circumstances that is not expressly precluded by the Federal Credit Union Act, the NCUA Rules and Regulations, or the Credit Union’s by-laws. Threats of any nature will be reported to the appropriate law enforcement authorities. Additionally, in extreme cases of abusive behavior, the President of the Board of Directors of the Wilmington Police and Fire Federal Credit Union or his/her designee, is authorized to immediately remove that member temporarily from membership, until such action is ratified at the next subsequent annual meeting, or at a specially called meeting of the members. The Board of Directors of the Wilmington Police and Fire Federal Credit Union is to be notified of any such incidents.